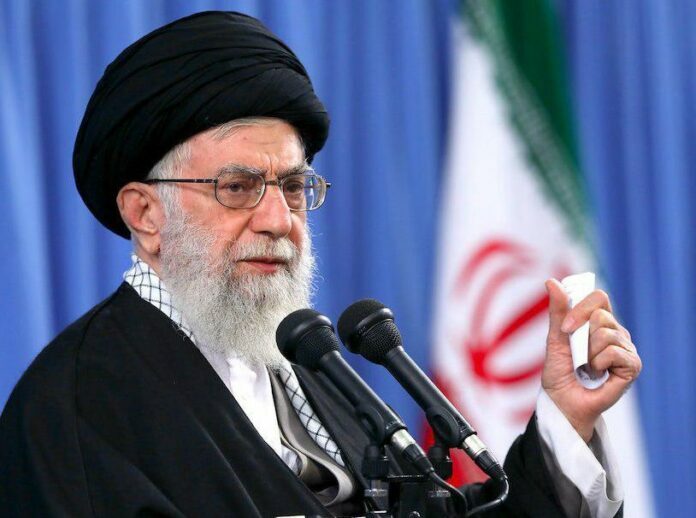 Leader of Iran’s Islamic Revolution Ayatollah Seyyed Ali Khamenei has urged Muslim governments, especially Saudi Arabia, to stop acting as vassal states of the US only to be humiliated. “Today, some regional countries obey the US instead of God. [In return] the US humiliates them, due to its arrogant nature,” Ayatollah Khamenei said Sunday. “You’ve heard the babbler US president likening Saudi rulers to milk cow. If Al Saud is okay with that, to hell with that; but this is an insult to [the country’s] people and Muslim nations,” he told a gathering of government officials, ambassadors from Muslim countries and guests participating in the 32nd international Islamic unity conference in Tehran. The Leader said Muslim governments should do away with the US and stand on their own feet. “We advise Muslim rulers to return to the guardianship of Islam. The guardianship of the US and tyrants won’t do them any good,” he said. Ayatollah Khamenei suggested that Muslim countries should avoid supporting the war against Yemen and the so-called “deal of the century” on the Palestine conflict the US is preparing. “Why should Muslim rulers assist the criminal move against Palestine and the Yemeni people? These rulers should be confident that victory in both fronts will belong to Palestinians and Yemenis and the US and its vassal states will be defeated,” he said. The Leader further urged Muslim intellectuals and pundits to work to promote the culture of Islamic resistance in the region, saying this will help the region win over the US. “Do your best to strengthen the Islamic Awakening and resistance in the region, as the spread of this thinking and morale is the only path to save the region,” he said. The Leader said the US and Israel are now in a much weaker position than previous years, pointing to Israel’s decision to implement ceasefire following the latest escalation in Gaza earlier this month. In the worst violence between the two sides since the 2014 war, Gazans fired over 400 rockets or mortar bombs at Israel in response to a botched Israeli raid in Gaza. The reason behind the irrational US approach towards the Middle East is that they are panicked by the nations’ attraction towards Islam and resistance, which could deal a big blow to the US hegemony in the region. “Wherever Islam has dominated hearts and souls of people, the world arrogance has been slapped [in the face] and we really believe that the arrogance will once again be slapped by the Islamic awakening,” he said. The Leader said Iran could be a model for Muslim countries, as the country has managed to push back the US and resist its pressure in all these years. He referred to the latest US sanctions on Iran, saying the country has already survived such pressures and will do so in the future as well.